The Berlin techno super group Moderat is preparing to release its second album entitled II later this year. 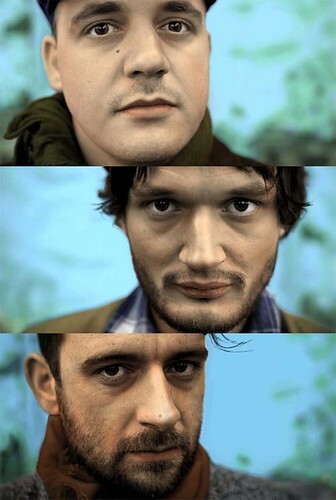 The group, made up of Modeselektor with Sebastian Szary and Gernot Bronsert and Apparat (Sascha Ring). The trio has been working together for the last ten years after coming together to find ways to explore electronic music after meeting at a festival in Berlin. One of the highlights of the new album, which was written in the dead of winter, is that all the beats were done from scratch using both sampled and re-sampled music from the studio – analog and looped. The new album features synths, warm bass tones and rolling drum programming, as well as melancholy vocals. The group says it continues working together because of a shared past in the German city attending illegal parties following reunification. In an interview with Electronic Beats, Moderat said that all the members worked on getting the album together. “Everybody did everything, it wasn’t like one person was the drum programmer and the other one was making the melodies. It’s really mixed,” said Sascha Ring. “We wanted to resample stuff and use it over and over again. We wanted to wear the sound out on purpose,” Ring added.